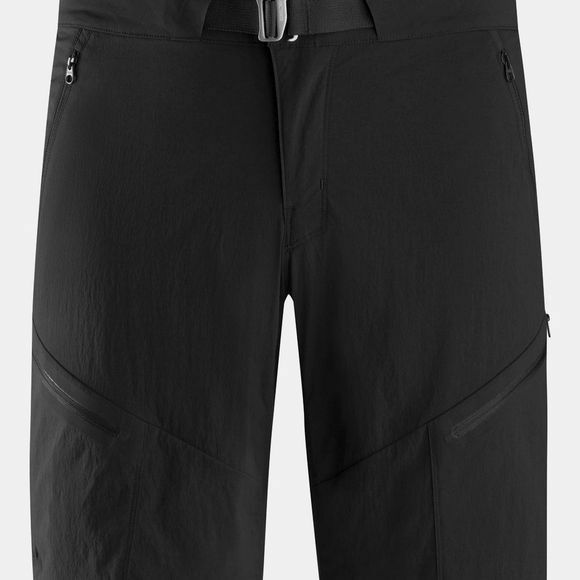 The Palisade Short combines technical fabric, purpose driven features and ergonomic patterning in a design specifically geared for the trail. Light and durable, TerraTex is a nylon blend geared for warm weather hiking and trekking. It provides sun protection, dries quickly, allows airflow and delivers stretch performance. Comfortable, moisture wicking brushed polyester lines the waistband for comfort in warm weather and under a hipbelt, and the integrated webbing belt secures the fit. As a component of the Arc’teryx Traverse collection, the Palisade Pant aligns with Arc’teryx footwear, packs and apparel to create comprehensive systems for extended backcountry trips.